One thing I’ve loved witnessing at births is the way women gather together to nurture and support and do whatever needs to be done. They provide such intuitive care to each other. We provide such intuitive care to each other. In additional to her midwife and doula, this mama was supported through labor and delivery by her mother and aunt, and at times by her sister and grandmother. To see all of them experiencing this together, holding hands, fans, drinks, lip balm, and space for this new mother as she birthed her baby girl…it was beautiful. So beautiful, Maegan. Love all the support and encouragement. 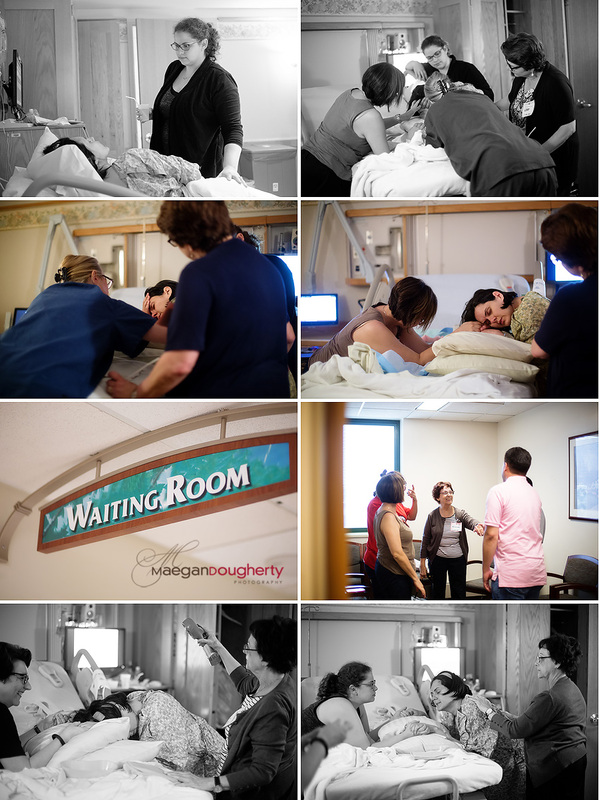 Such beautiful images capturing such a beautiful birth!